Helen and mommy Siobahn here again – today we are going to continue with “Helen’s Story” because we want everyone out there to know about Childhood Cancer and about my cancer, Retinoblastoma. Now that the problem had been diagnosed as Retinoblastoma, things moved along very quickly. The diagnosis was made on the Thursday and the operation to remove the eye was scheduled for the next Monday. Helen underwent an MRI Scan as well as a Lumbar Puncture in order to determine whether cancer was present anywhere else in Helen’s body. Fortunately all tests came back negative and it was determined that the cancer was confined to Helen’s left eye. Helen underwent surgery to remove the eye and she and mommy stayed overnight in ICU and in the normal Paediatric ward the next night, during which time Helen she had a plaster over her eye. The plaster was removed before she went home the next day and replaced by a transparent shield to prevent infection and was removed two weeks later. A ball implant was inserted into the empty eye socket and Helen currently wears nothing over the eye – she will get a prosthesis when she is a little bit older and able to handle the hygiene it requires (toddlers tend to play in the sand or touch unhygienic toys etc. and then rub their eyes). Sometimes the mould is made during the enucleation, while the child is asleep, but making it when the child is awake often has a better cosmetic result. Helen went for monthly checks on the right eye to ensure there was no cancer growing there for the first 6 months post-op, then every 3 months – this will become once every 6 months once she turns 3 years old, then annual visits until she is 6 years old to check for retinoblastoma in the right eye. questions and a bit of teasing, about her eye, but she is strong and very confident, and the Little Fighters Cancer Trust especially wrote a little booklet called Helen’s Story that the teacher can read to the class to explain what has happened to Helen’s eye and what cancer is, so things should get better. Because she does not know any better Helen has already automatically adapted to only having one eye – she knows no different, and once the prosthesis has been put in nobody will be able to tell the difference or even know that she has a false eye unless they actually stare intently at her for a while. From birth on, children constantly learn and develop as they navigate different experiences. With the right information, attention and support, they can learn to do anything. Children are built to survive! 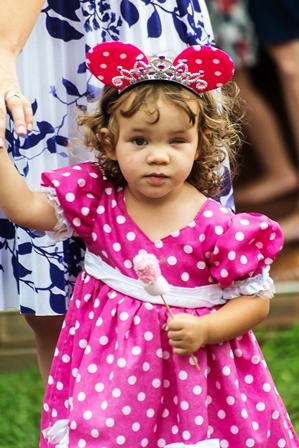 Each infant or child has a unique experience of retinoblastoma diagnosis, therapy and life after treatment. They have different feelings and reactions. There is no right or wrong response. Each child’s experience is “their” experience. 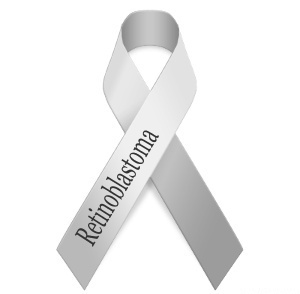 For many, retinoblastoma and its treatment is the only life-experience they have. Our job as adults is to support them through that experience.